Leading up to the November auction, Bonhams Wine & Whisky Director, Daniel Lam, invited Uchibori to Hong Kong to sign Karuizawa bottles for fans and to host a tasting of some rare Karuizawa whiskies, and his personal favourites. Speaking to Lam, he comments on the importance of the tasting for the famed auction house. 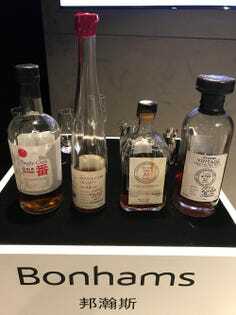 ‘We were delighted to have Uchibori San conduct this tasting in Bonhams Hong Kong, as he is one of the most iconic people in Japanese whisky history’. In recent years, the ex-master distiller spends his day brewing beer at Yo-Ho Brewing near his home, and experiments with creating barrel-aged beers. The question on everyone’s lips is one – will the spirit of Karuizawa ever be revived? Only time will tell.